Yes, it is the time of the year again — smoggy season. Air quality in Southeast Asia will soon be in critical stage once more. Why don’t you try to escape the smoggy season at the same time avoid being in a crowded area? You can even take a sip of coconut by the beach while reading your favourite book on a hammock at these islands in Thailand for a cheap price. Clear blue sea, powdery white beaches and just 200 baht long boat ride from Chalong Pier (Phuket), you will find Ko Racha Yai or better known as Ko Raya. This island attracts many day trippers from 10am-4pm but after 4pm, you will feel the peacefulness of the place. Yai means big, and when there’s a big, there’s always a small! Join a diving or snorkeling expedition to Ko Racha Noi to escape the crowded beach of the bigger island. Banana Bay and Ao Kon Kare Bay are amazing for beginner divers so, it is a great spot to get your PADI open water license here. 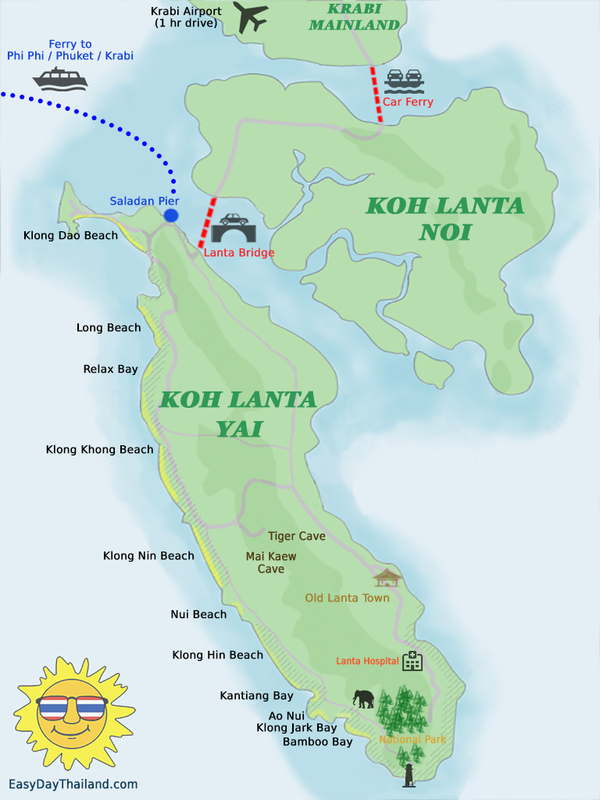 Maybe you have heard about Ko Lanta but I bet you didn’t know about Ko Lanta Noi, the baby sister island. 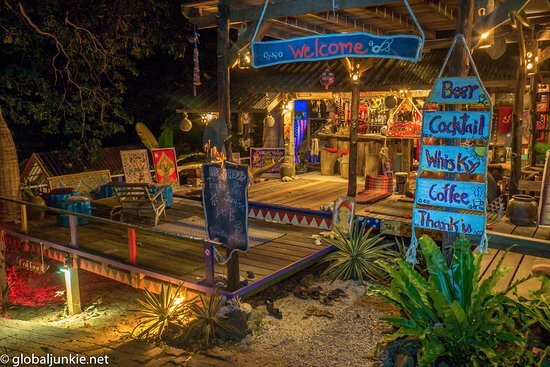 Ko Lanta is amazing for party goers, digital nomads and adventure seekers. This little sister island is better off for relaxation. There is almost no tourism there, which is a rare sight for islands in Thailand. The island is mostly resided by local fishermen and their families. 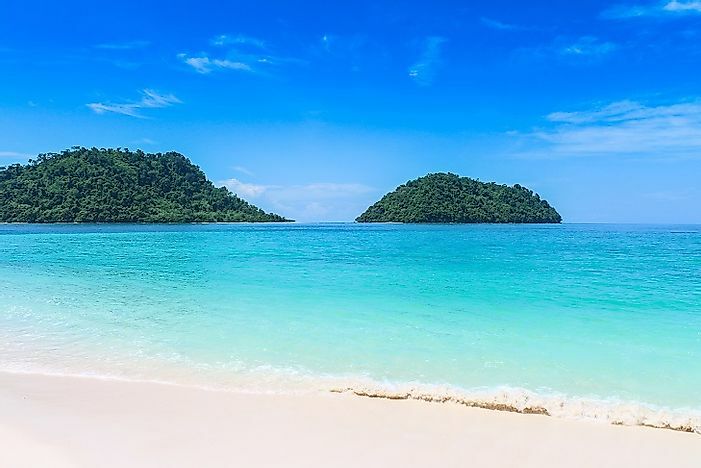 However, this small island has some magical spots for you to visit such as deserted beaches and some breathtaking views of uninhabited islands that cannot be seen from Ko Lanta Yai. It is best to stay in Ko Lanta Yai and enjoy the fun that you can get there but if you do ever feel like you need a breather, visit Ko Lanta Noi. Cycle or ride a motorbike across the small ocean inlet which separates both islands from Saladan. Do a round island trip and explore some unique views in peace. This is one of the rare stand-alone islands that tourists have yet to land their feet on. It is a small island suitable for a 3 days 2 nights escape stay. Visitors reckoned that this is an ideal location for couples who are on a budget to go in April. The wind blows from the west and clears up the sky for visitors who are keen to enjoy a sweet and tranquil sunrise. There is also a bar that’s dedicated to Bob Marley serving thirst-quenching cocktails. From Ko Bulon Le, you can also visit Ao Panka Yai and Ao Panka Noi. It is best to ask your reception for directions. Coconut Bar at Pansand Resort. Image via Tripadvisor. Take note that this is not the Ko Chang near (6 hours bus ride away) to Bangkok. 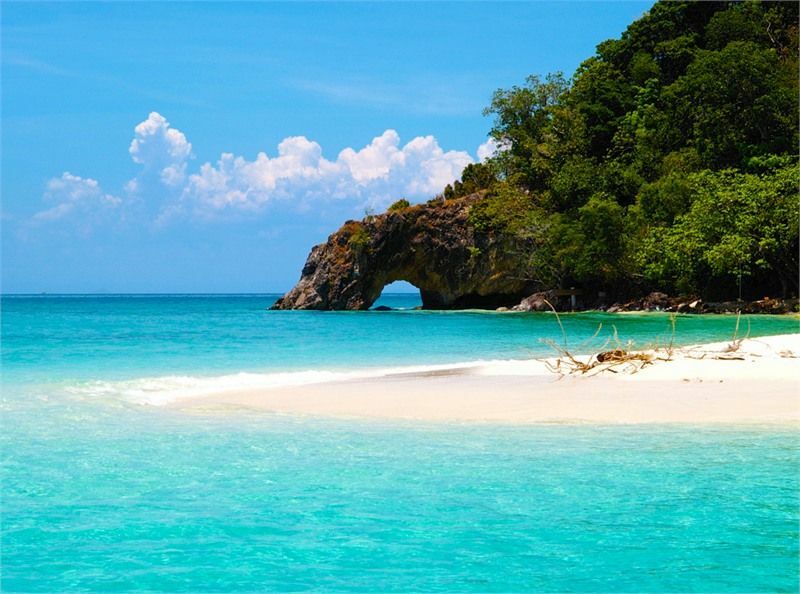 This is the Ko Chang located on the Andaman Sea in the Ranong district, which is at the Thai-Myanmar border. Namaste— This island will be your perfect destination to regain some headspace and do a silent retreat. Meditate on the white sandy beach and listen to the sound of the waves. Even if you do get bored and would like to do some island hopping, that’s not a problem! Ko Payam is just another boat away located down south of Ko Chang. So, if you are not interested in meditation, the island next door, Ko Payam offers good waves for you to surf on as well! Or, you can choose to head back to mainland Thailand to visit the Ngao Waterfall National Park. Voted as one of the most unspoiled islands in the Andaman Sea, Ko Adang will soon receive a flock of visitors. It is best to visit this island ASAP before everyone else spoils it. The assumption for it to rather unknown is because it is very close to Ko Lipe. 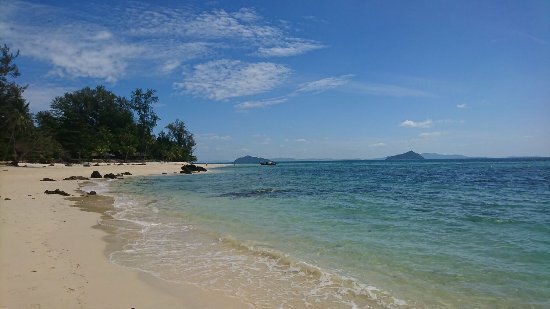 Most tourists easily assume that it is part of Ko Lipe itself. However, that is far from the truth. The only downside about this island is that the nearest ATMs, medical facilities, police station, and WiFi are only available in Ko Lipe. Thus, it is advisable to stay in Ko Lipe but take a day trip or 2 to Ko Adang. As the second largest island of the Tarutao Marine Park, this island is well-taken care of and offers great beaches. Snorkeling is one of the best activities you can do here.